Epic Games has a common visual style running through all its games. Gears of War looks like Unreal Tournament which looks like Bulletstorm. If you've ever wondered why that is, well, wonder no more. It's because of artist James "Hawkprey" Hawkins. Hawkins is a concept artist employed at Epic who is responsible for that trademark "look" the company's games all share: the big boots, the clunky armour, the rustic weaponry. 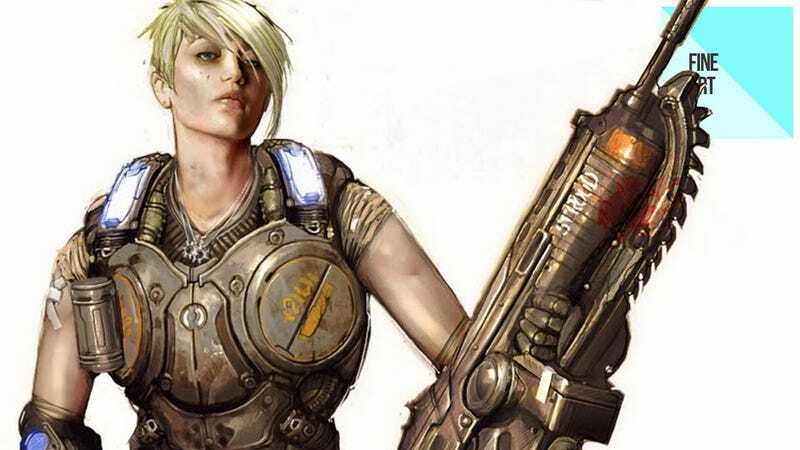 He's worked on all three of the Gears of War games, as well as the Unreal series and even done a little on Bulletstorm, the rest of that game looking like his work because, well, that's just what Epic games have to look like these days. This is a great collection of work from all those games and series listed above, with character art and equipment designs ranging from rough sketches to the finished product. You can see a lot more at Hawkprey's personal site. To see the larger pics in all their glory, either click the "expand" icon on the gallery screen or right click and "open link in new tab".